Another way to counter the problem of childhood obesity is by encouraging kids to get outdoors and moving. It’s not uncommon for the average American youth to spend up to 90% of waking hours indoors – and to spend much of that plugged in to computers, video games, smartphones, TV and other electronic gadgets. Not only does this take a toll on their health, but it ensures their disconnect from the natural world – a state that, most agree, is prerequisite for the kind of apathetic stewardship that has brought our world to the ecological brink. Time spent connecting with nature also gives kids opportunities to become more self-aware and mindful – key to developing self-regulation, empathy and other prosocial skills. We connect to nature through our feeling states. When using Yoga Calm teachings, children can begin to recognize the effects that natural environments have on their bodies and minds. Each element – earth, air, fire and water – has characteristics that correspond to certain feelings in the body. This understanding is expressed in our language about people, such as when we describe one person as airy or lighthearted and another as earthy or grounded. 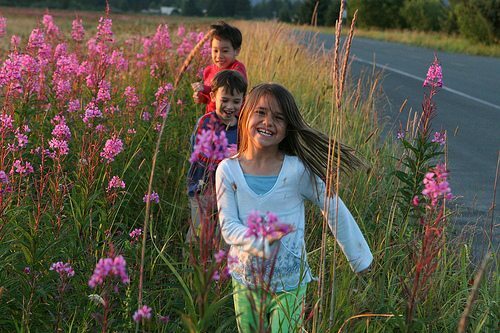 Kids can learn to develop and strengthen feeling states through activities and connection with the elements. For instance, trudging through a muddy mountain trail with a pack on gives a feeling of being grounded, while flying a kite gives a feeling of freedom and flight. By understanding, exploring and expressing these feelings, students can begin to develop a deeper relationship with nature, and they can begin to notice that nature can help teach us to be more grounded, free or fluid. A great place to begin building a relationship with the natural world is through activities that open the senses and build trust, like observations or silent walking in nature. Once the foundation is laid, activities that encourage belonging and stewardship become both more practicable and powerful. Good observation requires the ability to be still, patient and curious. The activities below can be used to help children develop these skills. Particularly important are times for the students to get outside and connect to the nature that is available to them. Street trees, vacant lots and school playgrounds all provide opportunities for kids to develop a sense of stewardship to the land where they live and play, as well as provide education about their native plants and habitat. Just make sure you scout these areas first for any hazards. 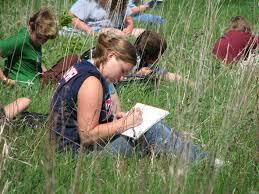 Following each activity or experiment, you can give the students time to journal about their experiences. They can record what happened (the original meaning of “journal”), their feelings about the experience, their thoughts or anything else they would like to explore and record. Some may choose to write a poem or draw a picture. Some may decide to write a list of things they can do to help the environment. You can offer specific ideas for journaling or you can leave it open-ended. For this activity, have the children walk silently in nearby nature, observing and using multiple senses – looking, listening, smelling, touching. The intention is for them to wander at a fairly slow pace and find a “special” spot or place they can begin to “bond” or connect with. 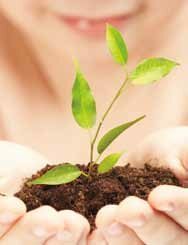 They learn to observe the Earth in particular – to feel or smell the soil in different areas, for instance, or touch different trees or plants, or just close their eyes and listen to the tree branches rustling in the wind. It’s important to give them a time limit, though, and to specify appropriate areas and boundaries. They should be close enough to hear your cue for them to return. Let the kids designate a specific place in the room (e.g., a shelf or table) where chosen natural objects can be placed at any point throughout the sessions. 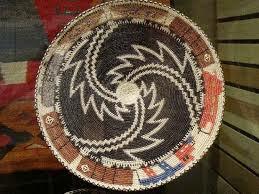 These can be objects discovered during walks or objects they bring from their homes and neighborhoods. Eventually, the space becomes the children’s own beautiful nature gallery, helping to cultivate a connection to nature – particularly nearby nature. This also helps give students a sense of place, which can become a springboard for stewardship of the local environment. The nature gallery can also be used for science lessons. Be sure to check back for our next post, which will have even more activities to get kids moving and connecting with the natural world! Adapted from the e-book Creating a Sustainable Future: Yoga Calm Environmental Education Curriculum Guide, available for download soon through the Yoga Calm Store. Learn more about how Yoga Calm and environmental education activities can be used together to foster meaningful connections between personal and planetary health, a lifelong interest in science and increased environmental citizenry and stewardship. Join us for the next session of our Creating a Sustainable Future workshop, September 24 – 25 at Still Moving Yoga in Portland, Oregon.